Digital Adventures: Digital Democracy on Sunday Morning - Let Them Eat Cake. Digital Democracy on Sunday Morning - Let Them Eat Cake. The irony of a commission on Digital Democracy from the supposed political elite and the invite to eat cake is not lost on me, but hey I'm a digital adventurer and I want a better form of democracy in the UK, I'm also a fan of Emma Mulqueeny so if she's leading commissioner and chief cake maker, I'm in. My first thoughts upon entering a discussion about "Digital Democracy" is why do we have to call it "Digital" - it's a strange divisive fixation of the world where we have digital and non digital, I remember when we called watches "digital" and "digital video" - now we've dropped the digital. So Democracy, yes please. I'm kind of a 97er when it comes to political discourse. I had no real interest in politics bar watching Spitting Image as a kid. Then I made a documentary in the 97 general election, following a candidate and saw the New Labour political machine upfront and impersonal. In the years that followed I got to understand the mass media and political symbiosis and didn't like it. Basically it's a circle jerk from my perspective. So if a form of democracy can exist that breaks the mass media influence, I'll be happy. Right now I feel that the 38 Degrees/ Change.org movement is great, but essentially Howard Berger rallying a call to "Get Mad As Hell" or my pet hate #hashtagactivism. This in turn opens a flood of emails to MP's which becomes like trying to drink water from the firehose. Which would explain why I seldom received responses to questions I asked of my MP and when I did I would receive banal, patronising and now with hindsight quite funny responses. This is the mental baggage I brought to the table when on a quiet Sunday morning, I dialled into an informal chat for Speaker's Commission on Digital Democracy, I had to dial in as I'm not in the UK or Norway, I'm on a rock island somewhere in the Atlantic Ocean and the full discussion was recorded so you can listen here. You can also read Mar Dixon's blogpost about the meeting, along with Emma Mulqueeny's post too. So as I said at the end of the meeting, I was going to go away and "noodle" some thoughts on the beach. Whilst down there I had a go at one of these inflatable Total Wipeout assault course things in the sea and in my mind my success on this was equal to how MP's seem to tackle digital engagement and social media. As we had agreed in the discussion; training and instructivist manuals on how to be a digitally engaged MP are not the answer. To be honest, they seldom are - so why don't we start thinking about safe play and test grounds for MP's to develop some skills - it's digital, so we should be able to do that right? In the call I raised the idea of MOOCs, but given there are not really that many MP's it would hardly be "Massive" and for it to be a place to fail in safety, it probably couldn't be that "Open" either. But I do think there are opportunities for an experiential learning environment for MPs to essentially learn about digital engagement and play to gain skill. It would essentially be a learning game, one in which they could level up in their competency through practice in simulations (I'm not talking about sophisticated gaming graphics, it's quiet easy to simulate digital engagement games with game engines, AI and maybe even tapping into real people through game designed Amazon Turk micro tasks). I quite like the idea of creating a digital ARG (alternate reality game) that develops skills, builds competency and provides feedback loops for the MP - I'd even be willing to draft a micro pilot for free to test the concept and see if it could be done effectively. This leads to another issue that we discussed, which is that MP's don't have job descriptions, which made me think about how do we really assess whether they're competent when we elect them? Are we too reliant on our specific perceptions which are likely to be prejudiced by media and our own cognitive biases. The data about MP's is there, if you look and decipher - but most don't, so we're reliant on spin, PR and what we're told. This leads to politics becoming purely about media persona and mask wearing (which is not good for democracy, digital or otherwise), short term pleasing and discarding of the issues that they "strongly believed" in. This all potentially leads to a shift from intrinsic motivation of the politician to extrinsic motivation because ultimately they are purely judged in the court of public opinion. Now if we had a clear description of what we believe a politician should be good at and skilled at as well as their policies we'd start to have some form of competency framework that they could demonstrate attainment of those skills against etc, then we have a way of assessing performance outside of PR spin and unreadable stats. I wrote about this wider for lawyers in a piece but think the concept is equally applicable. Throw in wearable tech and concepts of the Quantified Self and the possibilities are quite wide ranging. There's some hack ideas waiting to happen around that. It's not just all on the politicians either, we as a society need to be better at engagement in our society and we need to be better at both media and digital literacy to do that, we may be great at using the tools but many do not know what is going on behind the scenes. 62.5 % of Facebook users don't know the news feed is generated by a company algorithm and 97% of people I surveyed never check veracity of information they retweet or like. Robin Sloan covered our disposable and flippant attitude to digital in his Tap Essay and Tiffany Shlain covered it in her documentary Connected. We need to understand this as a society better, if we did then we could possibly get to a transparent and interdependent democracy connecting electorate with the elected and not mediated through mechanisms of media interest or agendas. This would liberate us and the politicians. Apps like Greenhouse will become more pervasive and disrupt, but wouldn't it be good if digital democracy lead rather than reacted? In Norway I've always been impressed with the story of Kjell Magne Bondevik who as Prime Minister in 1998, announced he was suffering from a depressive episode and took a 3 week break. The transparency and lack of spin in the media lead to a soar in his popularity and a deeper connection with the people of Norway, receiving thousands of supporting letters. I can't imagine that happening to any of our last 5 Prime Ministers with our current set-up. It shouldn't just be about transparency, engagement and communication, it can be about co-creation too - democracy should involve citizens more in co-creation of of civic planning, law-making and policy construction and there are some amazing potential ways to do it. Look at Play The City as a great example of collaborative participation between government and citizens in solving problems, this has so many wide applications in digital democracy, I really hope the commission looks closely at it. In the meeting I tweeted about The Cynefin Framework and how I thought it was a good applicable model for political leaders to adopt for digital democracy, it shifts away from old models of leadership and highlights the contexts, digital enables this well with big data, dashboards, visualisations and so forth - in particular it's about sensemaking. If politicians are enabled more with sensemaking tools then maybe we could shift from the waterhose of email that 38 Degrees et al generate. Lastly zoning in on the legal/ legislative side of my thoughts having worked in and around legal education and services in the past. There's a lot of focus building around legal innovation and tech for service delivery, with focus on quantitive legal prediction and beyond. If we're working towards predictive law services, I wonder if we could use predictive forecasting approaches to make better law at the start? Additionally I remember filming this a few years back about the legislation.gov.uk datasets etc and thought at the time that it potentially has huge use and application to develop useful tools for digital democracy. But I haven't heard much more on it since. I'd like to reinvestigate that further. However, we need to improve upon public understanding of legislation and how legislation is constructed, I think this is a major failing in our system that we do not have better public legal education. It really scares me how many people don't understand what the Human Rights Act is and how the European Court of Human Rights works with UK legislation, allowing some powerful spin to be put on it. I was making lots of artefacts that explained the law in my previous job, here's one about the role of the ECHR for instance. I really wanted law schools to pull together to release open educational resources for the public about law, the government could sponsor some of it as could the large legal education fund that exists from selling a charity to a private equity company. Phew, that's off my mind now. The key thing for me though is that I see so many bemoaning democracy and politics across digital spectrums, #DDCEngage is an opportunity to do something about it. 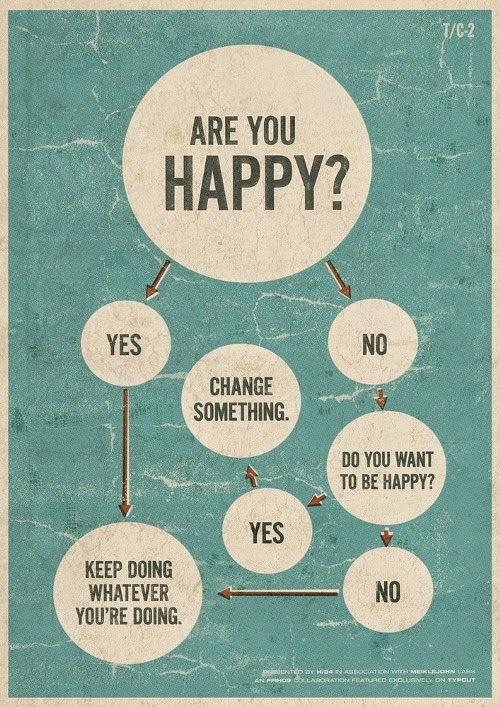 If like me you're not happy about the current state of affairs, then follow the handy flow chart below and engage.